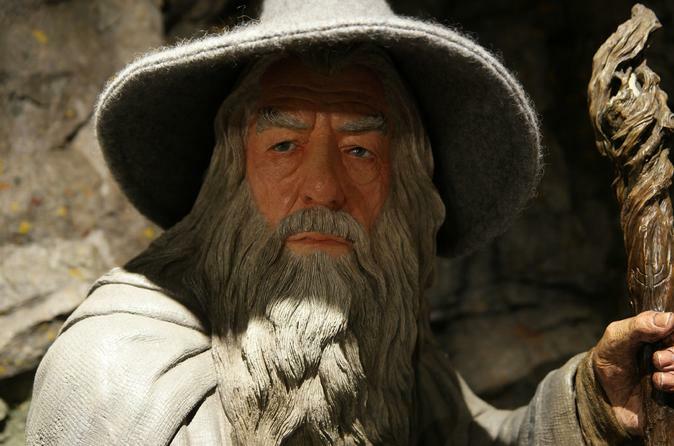 Enjoy a Lord of the Rings themed lunch at Scorch-O-Rama cafe and visit nine Lord of the Rings locations. Great tour. Loved the Weta studios and seeing all the locations. Tour guide was engaging and knowledgeable. I'd recommend for any Lord of the Rings fan! we were picked up on time and taken to the first destination and shown the spots of filming and the stories that went with what happened. Weta Workshop was informative but we wanted more of it to focus on LOTR and how that was created and the characters were brought to life. The weather fined up for a picnic lunch and I really enjoyed Rivendell. James was friendly and tried to cater for all as it was a full bus. Thank you Tom for looking after us so well, -- complete with a delightful picnic in the park, with delicious food, on a beautiful sunny day.And marvellous driving under busy traffic circumstances. WELL DONE. We got to see many filming locations and heard many stories of on set! It was a great experience and included a tour of WETA and entrance to the WETA Caves! 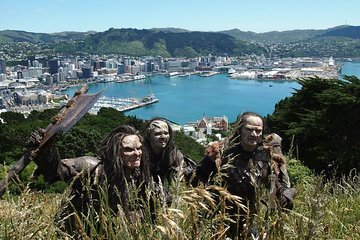 We loved the tour, it was one of the highlights of Wellington and indeed New Zealand. Weta studio was amazing, we learnt the tricks of the trade, seen props from Lord of the Rings and other films such as, Bladerunner 2049, Planet of the Apes and this highlighted how much Weta was on the international stage. Dave our guide was a mineful of information on Lord of the Rings and Wellington, was full of fun and very entertaining. We had a few laughs en route! Our picnic lunch was very unexpected which we had at Rivendell. The food was so tasty. especially the traybakes and it was lovely to be able to have our lunch outside on location being very fortunate with the weather. Rivendell was excellent - surreal being in the actual location and Dave had cloaks and swords for authentic photo opportunities and other surprises on the way! Excellent tour for fans of the movies. Our tour guide was excellent and extremely knowledgeable.